Cast : Daniel Craig, Liev Schreiber, Jamie Bell, George MacKay, Alexa Davalos, Allan Corduner, Mark Feuerstein, Tomas Arana, Jacek Koman, Mia Wasikowska, Iben Hjejle, Jodhi May, Kate Fahy, Iddo Goldberg. Review : Muddled action/drama flick from usually awesome director Zwick, Defiance should have perhaps been retitled as Survival instead. It’s less about defying the Nazi oppression, and more about simply surviving years in a forest. Moments of genuine greatness are overshadowed by flat characterisation and a hodgepodge final act. When director Edward Zwick saw this script come across his desk, he must have licked his lips and thought to himself that perhaps, now, was time for some Oscar glory. After years in the award season wilderness, Zwick surely saw within Defiance a chance to grab another Best Picture gong, perhaps even a Best Director one. A heroic story, set within World War II, featuring a quartet of Jew determined not to become road-kill under the tyres of the Nazi “Final Solution”, and a story of bravery above all common sense, Defiance is ostensibly a film designed to garner appreciation and praise. I’ve always enjoyed Zwick’s film: yes, even The Last Samurai, a film I felt was slightly undone by the inclusion of Tom Cruise. Blood Diamond, reviewed here at fernbyfilms.com, is among the best films I’ve been privileged to witness. Zwick is a director of significant substance, with his films often requiring a couple of viewings to truly appreciate. Layers of narrative that only come to light after the initial shock of the film wears off, Zwick doesn’t dumb down to the dim-witted: he a film-maker I’ve a lot of time for, and admire him greatly for his choices of stories that he chooses to tell. So it was with a great deal of anticipation that my wife and I sat down to enjoy the latest from Zwick’s oeuvre, Defiance. Beginning in 1941, the Jews of Eastern Europe are being hunted down and exterminated, as part of the Final Solution, and the four Bielski brothers narrowly escape a massacre by fleeing into the nearby forest. Their parents and loved ones are all murdered, leaving them to fend for themselves. The eldest brother Tuvia (Daniel Craig) asserts himself as the leader of the group, which also include various other Jewish escapees, all who are hiding with what few possessions remain to them in their moment of flight. 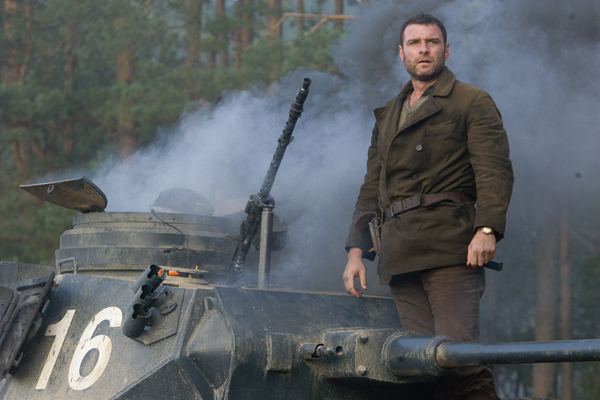 One of the brothers, Zus (Liev Schreiber) is more vengeful, seeking to gain revenge on the Nazis and the traitorous countrymen who murdered his family. His anger is the primary motivation for much of the violence and narrative thrust in the film, and in a way, the dramatic tension between the brothers. Younger brother Asael (Billy Elliot’s Jamie Bell) is less of a potent character, and more of an ancillary one, as he seeks to assert his meagre authority in the situation. As more and more flee into the forest and join their community, Asael must figure out whether to stay and help Tuvia, or leave and join the Russian militia nearby in fighting the Nazis with Zus. Story-wise, Defiance is a little hit and miss with it’s key narrative thrust. The film finds a middle ground, somehow mixing both the action/battle tension of war, and the subtle human drama of simple survival (especially poignant in the snow-covered landscape of European winter, which is almost impossible to comprehend just how cold it must have been). Unfortunately, the film can’t seem to find adequate room to convey all the required emotion of both: the human drama feels forced and somewhat flat, and the action moments feel out of place by comparison. The performances within the film are adequate, although mention must be made again of the choice by Zwick to get his actors to produce realistic local accents: are they convincing, or are they diabolical? Craig fares best of all the cast in producing his accent, with Schreiber following closely behind. The rest of the cast are all a little hit-and-miss, some with a definite American-Russian twang. My thoughts on accents by foreign actors (and by foreign I mean those not born in the country the accent is from) is that they should be limited at best, if produced at all. War film aficionados were baffled by the fact that a bunch of English actors couldn’t produce one iota of Russian in Enemy At The Gates, which I thought was a little harsh. Admittedly, a convincing accent can draw you further into the story, but a bad one can pull you out of it. Completely foreign accents are a real challenge for actors these days, and I commend the entire cast for giving it their best shot. You know, I tried to parallel park…. Back to the performances: of all the cast, Craig commands the screen with his glowering, bristly portrayal of the eldest brother beset with both moral and ethical conflicts. Tuvia wants revenge for the death of his parents, but knows that should he go down that path, he is no better than the Nazis themselves. He is unwilling to commit to killing for survival, a fact that comes back to haunt the forest dwelling community. In a way, Zus acts as both his un-released id, and his right arm of vengeance. 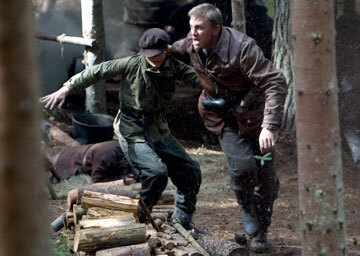 Zus has no compunctions about killing, his anger so great he’s willing to do almost anything for revenge. But they come into conflict, a conflict which is the cornerstone of this films main storyline. Schreiber is always interesting to watch as an actor, although I feel in Defiance he’s underdone by a script which sees him reduced to an unsympathetic “angry man” cliché. The chemistry between Craig and Schreiber is great to watch, as they slug it out on screen (literally and figuratively) for control of the group and each other. Jamie Bell, woefully miscast as the younger brother Asael, feels somewhat limited in ability to match it with the bigger boys on the film. Heck, sometimes even the second and third-tier characters have produce better performances than Bell. Iben Hjejle, who Aussie audiences may remember as John Cusack’s girlfriend in High Fidelity, is a particular stand-out as Zus’s Forest Wife, her back-story perhaps the most emotional as she loses her cool when a Nazi officer is captured and beaten to a pulp by a wild mob. The other female leads, particularly Alexa Davalos as Craig’s love interest, are remote and distant, perhaps not helped by the script trying to accommodate so much with such little time investment. One of my major criticisms, though, would have to be a lack of key villains. The Nazis, with the exception of a brief montage opening sequence, are almost nowhere to be seen. Their lack of presence negates any real tension until the end of the film, when they attack the forest dwellers and force a confrontation: by then, it’s too late. Zwick tries to give us some tension by having a mutinous group of Jewish men try usurping Tuvia’s authority, but this story seems out of place and hamfisted, almost like the scriptwriters realized they had no motivations for human drama and needed something spur-of-the-moment. The tension in the film is derived from whether or not the group, which swells to somewhere in the high hundreds, will be discovered by the Nazi war machine. 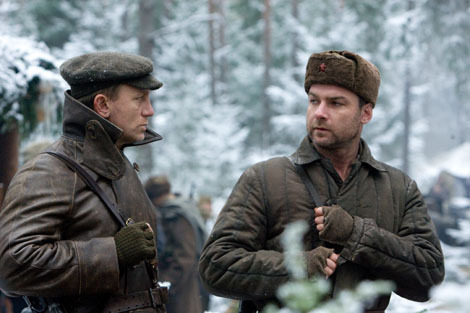 To not have any Nazi presence in the film undoes this tension, and consequently, you’re left with the tension between Craig and Schreiber to carry the film. I guess that’s the main problem with Defiance as a whole: the film feels like half the story has been cut out, or at least, minimized in impact. Story ideas seem to either disappear completely or become lost in the final battle for survival, and the films resolution is reduced to a bloody battle by a rivers edge, lacking any kind of emotional punch or resolve. Characters outside of the main leads are there as window dressing, they’re given very little dialogue that’s meaningful or engaging. Even the main characters seem forced to spout lines that could make any movie trailer seem indulgent. The story behind Defiance is indeed remarkable, it’s just that Zwick and his team somehow dropped the ball by giving us a film that feels both indifferent to those we are watching, and those who are watching. On it’s surface, Defiance feels like it should be a great film. It contains a lot of due penitence for the Jewish community, the mournful sorrow we should all feel for what happened during the war. But it also contains some bafflingly lackluster directorial choices and story points. 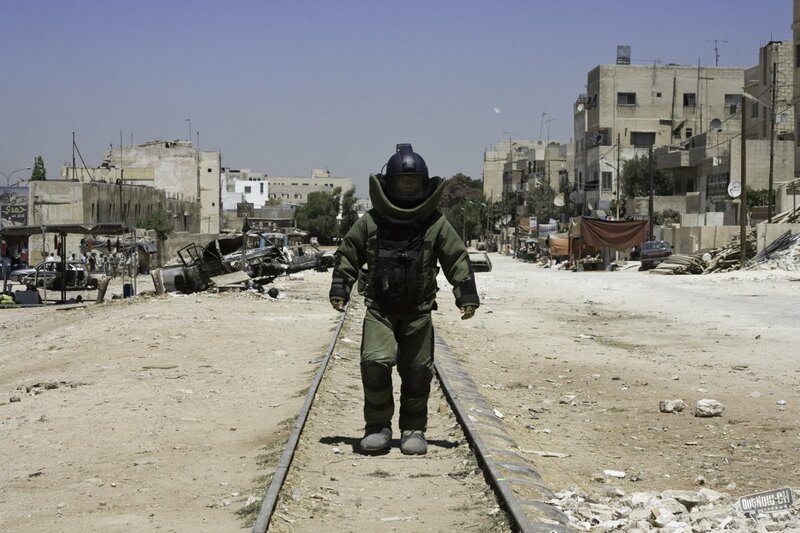 The film struggles to find it’s genre: is it an action film, a human drama, or both? In any case, it’s a film less about defying authority and Nazi oppression, than it is about simple survival against incredible odds. Worth a look, but will remain one of Zwick’s weaker entries. 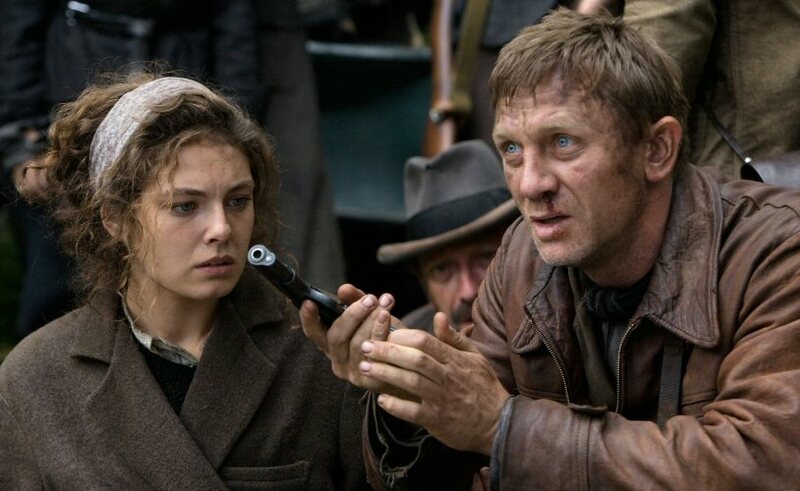 Editors Note: according to Wikipedia and several other online sources, Defiance remains controversial within the country of it’s setting, Belarus, due in part to film-making licenses taken by Zwick and crew. As with most “true stories” of this nature, there will be those who disagree with how these films portray the people in them, how they twist and bend historical fact to suit the filmmakers’ purposes. Here at fernbyfilms.com, we regard the film as an entity in itself, merely one persons recounting of an event that affected thousands of people. Much like recent war films such as Valkyrie, some poetic license has been taken to streamline both dramatic narrative and the passage of time. As with most films, everyone has their own take on what happened, and as the old saying goes, you won’t please all the people all the time. Here at fernbyfilms.com, we take the film on its merits, and do not pass judgement one way or the other regarding its historical accuracy.